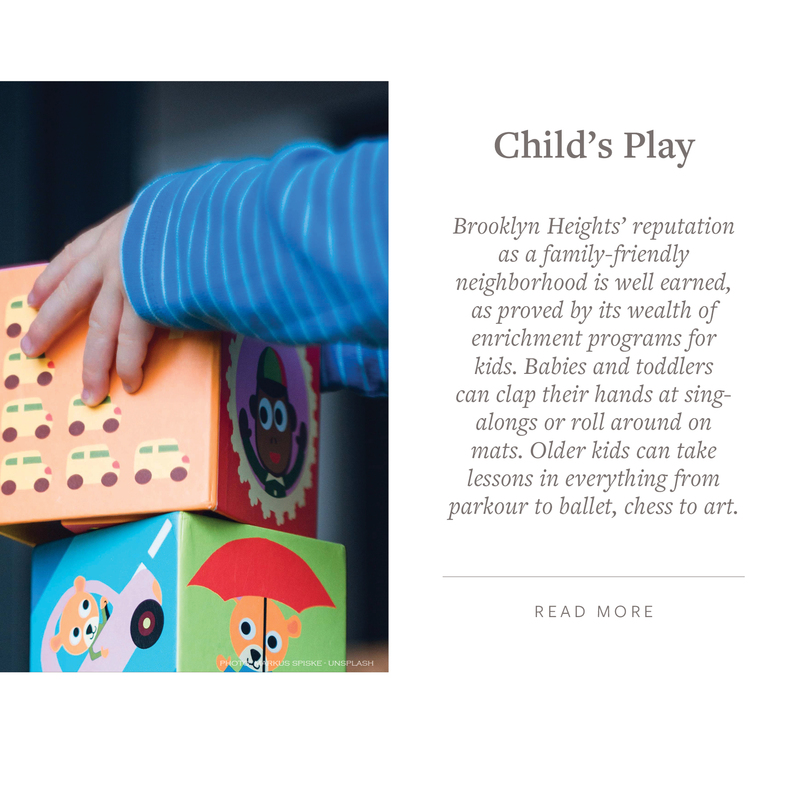 This month’s edition of Culturally Inclined focuses on the Brooklyn Heights neighborhood built upon an elevated plateau overlooking Manhattan. The native Lenape people, called the area “Ihptonga“, meaning “the high sandy bank” and it was referred to as “Clover Hill” by the Dutch. With the advent of the ferry service in 1814 the farmland began to be divided into country retreats and became the first commuter suburb called “Brooklyn Village”. By the late 1800’s the Brooklyn Bridge was completed followed by the private Interborough Rapid Transit Company IRT 1904 operating the original underground subway, as well as elevated railways, a catalyst for continued development of both the business and residential sectors. 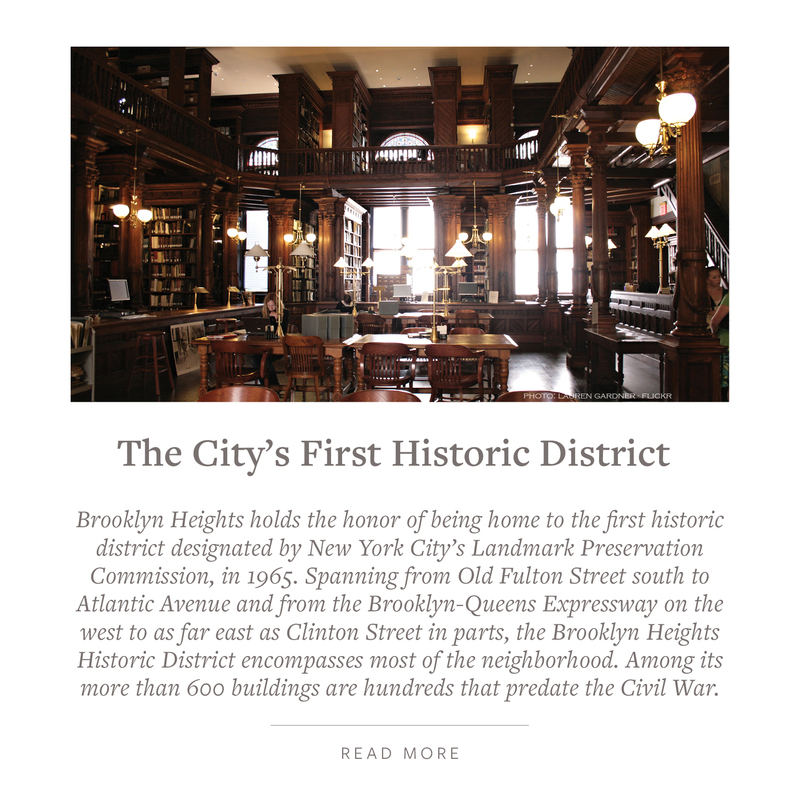 Brooklyn Heights is New York’s first historic district and it earned its protected status in 1965 with it’s “varied stock of row houses, mansions, pre-Civil War homes, and notable churches. This historic area has some of King’s County’s oldest streets and residences, with renovated carriage homes and a few cobble stone streets”. The district is bounded by Cadman Plaza West (Old Fulton Street) on the north, the Brooklyn-Queens Expressway on the west, Atlantic Avenue on the south, and an irregular line that partly follows Clinton and Henry Streets on the east. 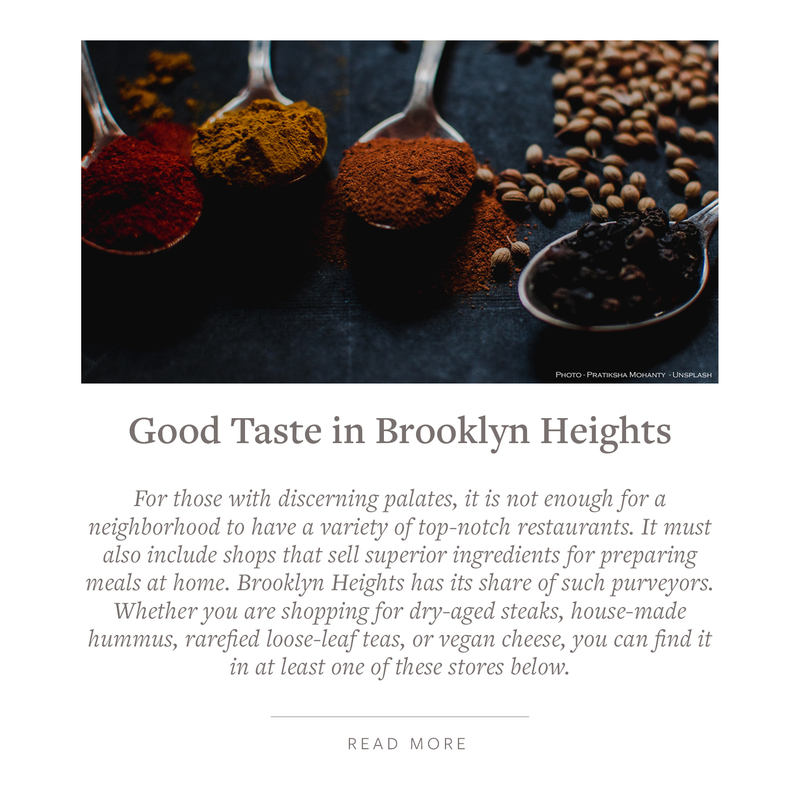 Kick-back and examine Brooklyn Heights top notch restaurants including hot-spots to meet for brunch, kid programs, and full service fitness gyms. 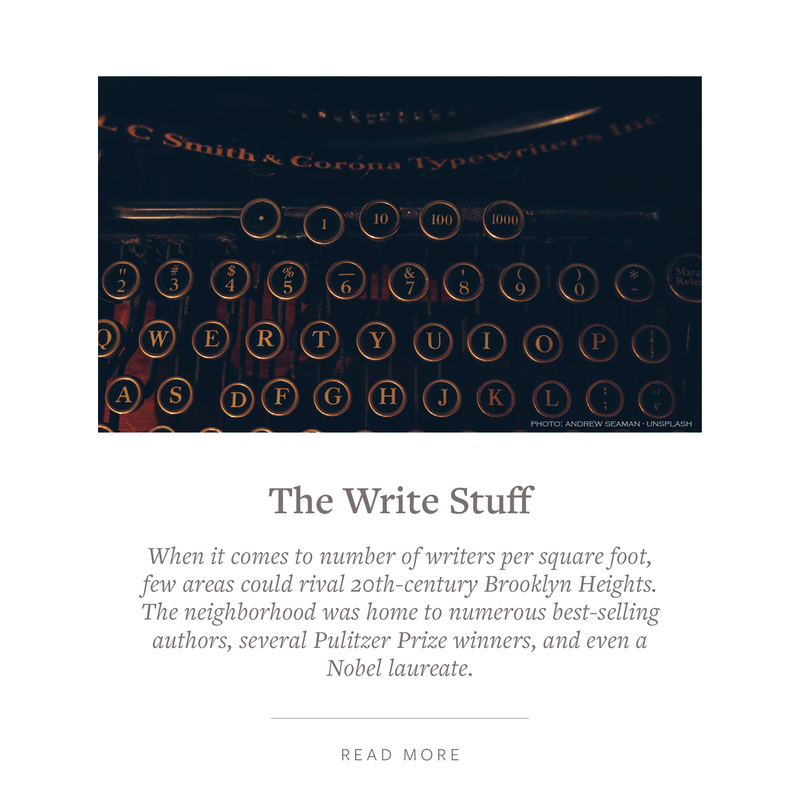 It is also home to numerous best-selling authors, several Pulitzer Prize winners, and even a Nobel laureate and music on the grand waterfront. Brooklyn Heights continues to transform with new developments such as: 67 Livingston, Brooklyn Bridge Park’s Quay Tower, Pier House, 138 Pierrepont, and recently announced by the Brooklyn Bridge Park together with the NYC Parks Department plans to build a pool at Squibb Park scheduled to open in 2020 are some of the projects changing the landscape of the area. 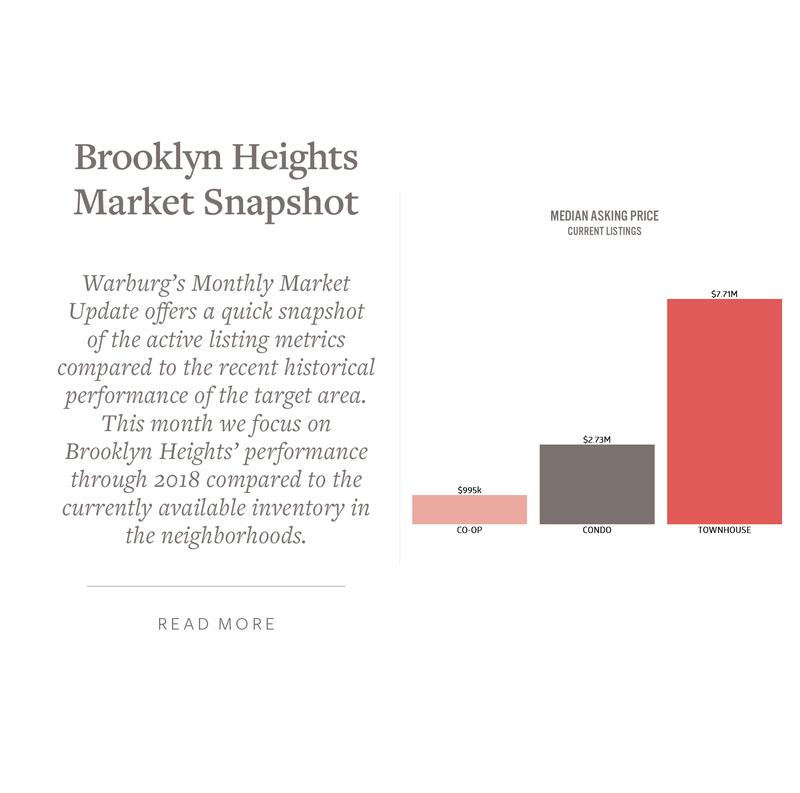 “Ask a longtime Brooklyn Heights resident what has changed and the answer is likely to be a cautious “not much.” Preservation efforts have been fierce for decades; Brooklyn Heights was the first New York City neighborhood to be named a Historic District, in 1965. 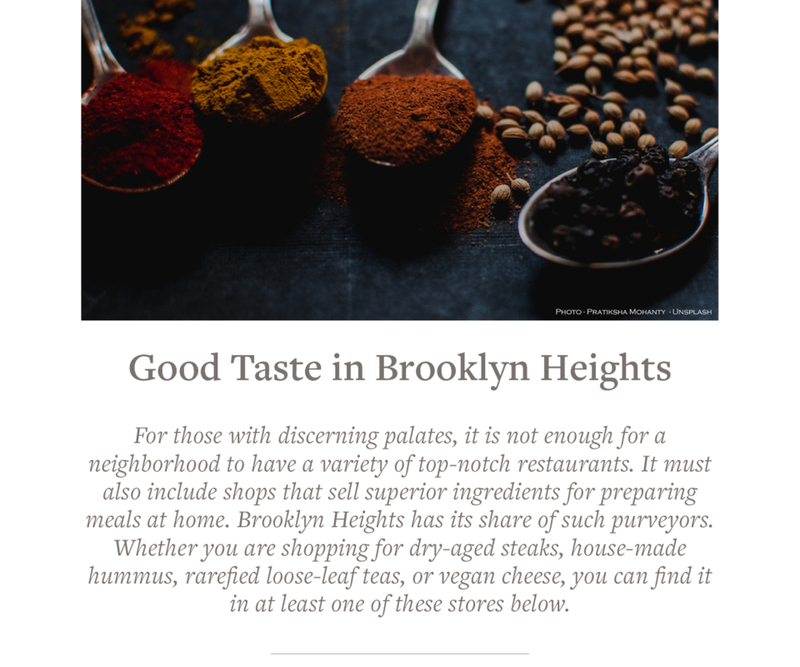 The Brooklyn Daily Eagle, which was founded in 1841 and counts Walt Whitman among its former editors, continues to train a keen eye on the neighborhood, as do several hyperlocal blogs. But there has been change here — quite a lot recent. 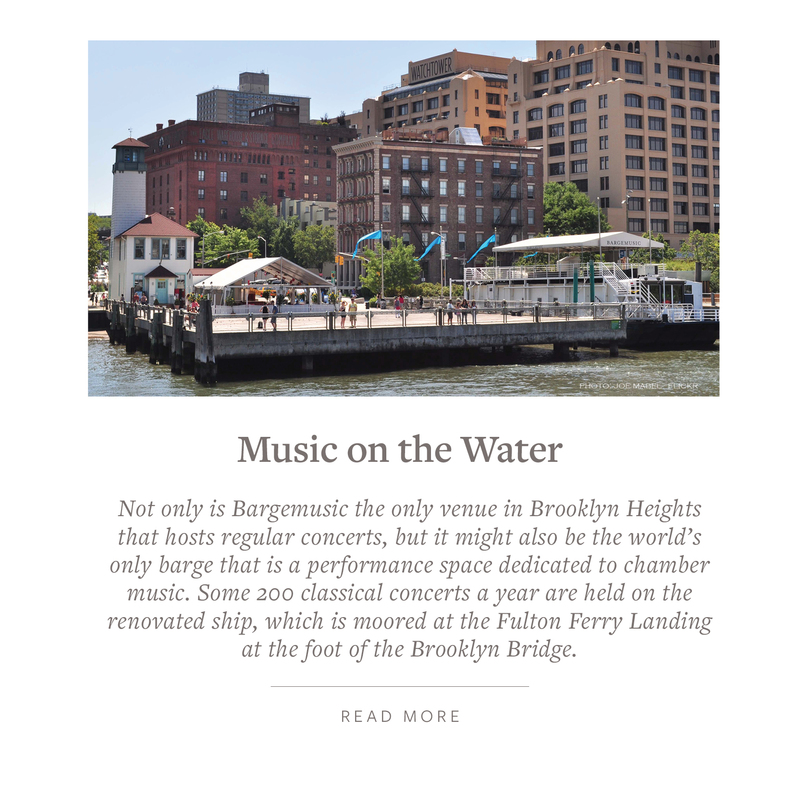 One of the biggest drivers has been Brooklyn Bridge Park, a 1.3-mile space stretching along the waterfront, with playgrounds, sports fields and green spaces, as well as a hotel and condominiums, where longshoremen used to work the piers. 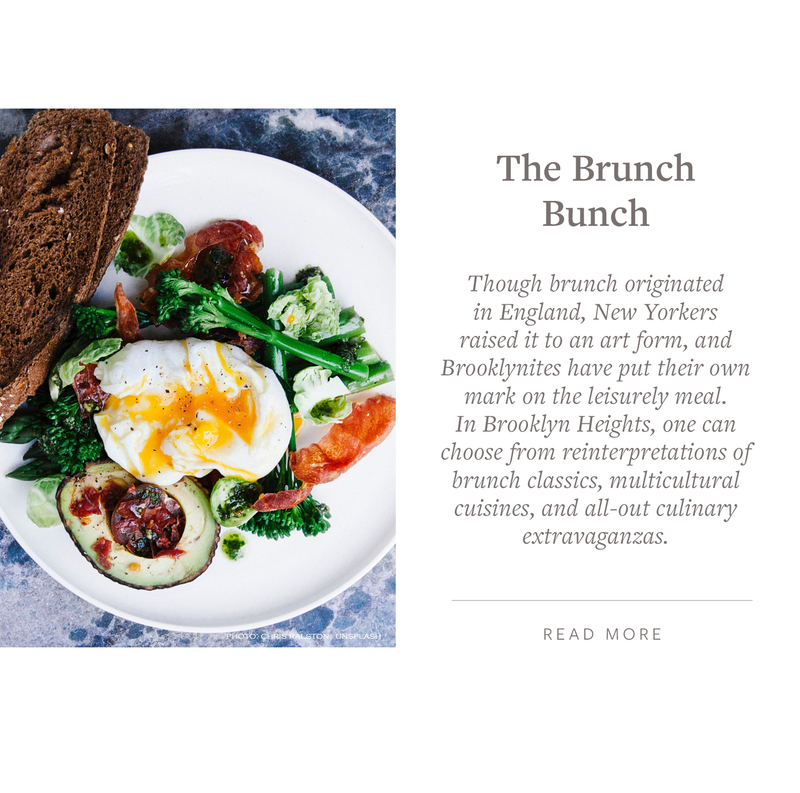 Another is Brooklyn’s ascendance as an internationally known travel destination. A third is a boom in new buildings and renovations of factories and opulent old Brooklyn hotels, many sold in recent years by Jehovah’s Witnesses. Summer is here! Make good use of the FREE opportunities New York City has to offer during the summer season, such as: Shakespeare in the Park at the Delacorte Theater: Othello (until June 24th) and 12th Night (July 17th – August 19th), Concerts in Central Park at Rumsey Ballfield and Summer Stage, Lincoln Center: concerts and dancing, Bryant Park: movies, games, exercise, dancing, music, Summer on the Hudson River Park, Battery Park Events, Seaport 17 Events, Other NYC sites to view an outdoor movie and so much more. Reach out to me if you or someone from your network would enjoy a Sunday Open House list for an area they are exploring or would like a neighborhood Market Report. It’s always a pleasure to hear from you so give me a call and let me know what’s on your mind. Wishing you a joyful summer. “I live in Brooklyn. By choice.